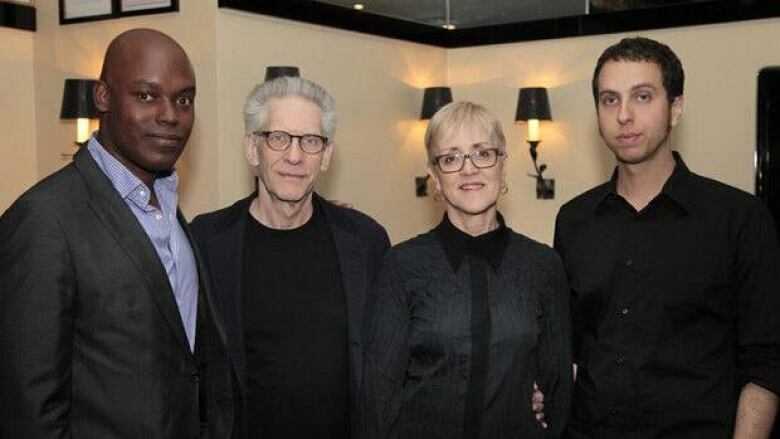 Canadian director David Cronenberg and his son Brandon discussed movie-making at the Cannes Film Festival on Monday. They are the first father-son duo to premiere films during the same year at Cannes. 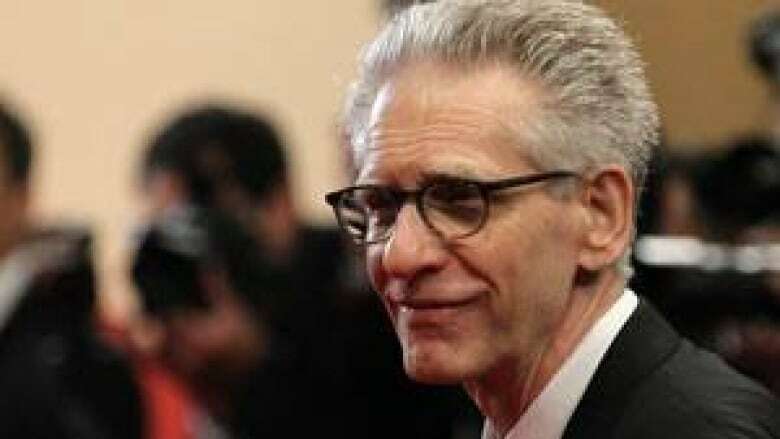 Canadian director David Cronenberg and his son Brandon discussed movie-making before a Cannes Film Festival audience on Monday. They are the first father-son duo to premiere films during the same year at the French fest. At an event sponsored by Telefilm Canada and moderated by Toronto International Film Festival artistic director Cameron Bailey, the pair talked about their films. David Cronenberg's Cosmopolis, based on Don DeLillo's post-Sept. 11 novel, screens in Cannes on Friday. It's in the running for the Palme d'Or, the top prize at the film fest. Brandon Cronenberg's sci-fi thriller Antiviral premiered on Saturday in the Un Certain Regard section of the festival. It's his feature debut and, like his father's early films, it is a genre movie featuring bodily fluids. Set in a celebrity-obsessed world, the movie explores the notion of eager fans who pay a clinic to infect them with their idols' illnesses — a horror-satire that resembles his father's Videodrome and Scanners. The younger Cronenberg admited to being influenced by his father's work, but says he didn't play a role in the filming, aside from looking over early scripts. "I don't have enough distance from his work to be influenced by it in the way that I think people usually mean," the 32-year-old director said. "He's my father, so I think I've been influenced by him that way: we share genes, I grew up around him, we have a very good relationship. As a filmmaker? Maybe being around it, but not as a filmmaker in the usual sense." The Cronenbergs bantered with one another throughout their presentation, delighting the Cannes audience, and broached some of the similarities between their movies. 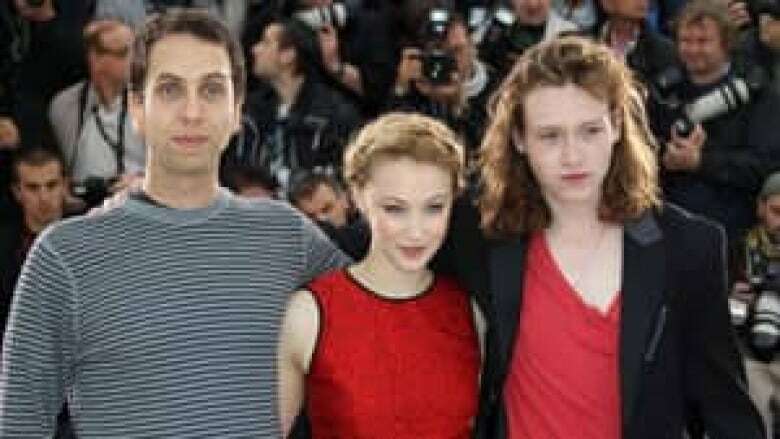 Both filmmakers hired Toronto actress Sarah Gadon for their films. She plays the love interest to Robert Pattinson in Cosmopolis and a celebrity infected with a deadly virus in Antiviral. Previously, she portrayed Carl Jung's wife in David Cronenberg's A Dangerous Method. Both filmmakers also shot in digital, with the elder Cronenberg telling the panel he believes film is dead. Directors can't even get it processed in Toronto, where Cosmopolis was shot, and anyone using film stock would have to send it to Los Angeles, he said. He added that he has no particular affection for film and believes the quality of the digitally captured image is comparable. "Creatively though, what you do as a director, how you work with the actors and what the lens [does] and what the light does, is exactly the same," he said. He said seeing his son on the red carpet for Antiviral was "very emotional." "Because, as I said to Bran, 'It took me 20 years to get to Cannes.' And here he is with his first film... But it was really terrific because I had seen the movie and I knew it was a terrific film, so I was very excited for him." For his part, Brandon Cronenberg noted that he resisted going into the family business for some time, fearing father-son comparisons. Still, he believes being around film culture helped influence his take on celebrity, which initially occurred to him when he was sick with fever. "I was delirious and was obsessing over the physicality of illness, the fact that there was something in my body and in my cells that had come from someone else's body, and I started to think there was a weird intimacy to that connection," he said. "And afterwards I tried to think of a character who would see a disease that way and I thought: a celebrity-obsessed fan. "Celebrity culture is completely bodily obsessed — Who has the most cellulite? Who has fungus feet? — Celebrity culture completely fetishizes the body and so I thought the film should also fetishize the body, in a very grotesque way."